CEREC (Chairside Economical Restoration of Esthetic Ceramics) technology was created to design teeth digitally and to provide optimal benefits to the patient through high-quality ceramic restoration using computer aided design. 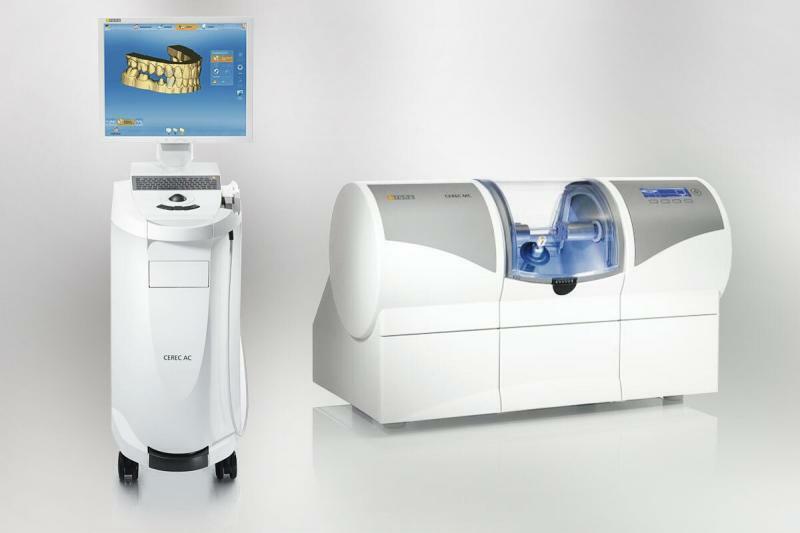 The technological software and computer design unit that the CEREC system includes allows designing the teeth in the most optimal and artistic way for the patient’s oral structure and the shape of his or her face. 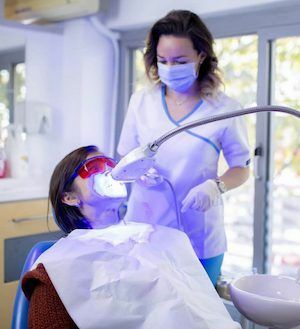 CEREC technology is used to take digital images of the problematic teeth and to provide new dental restorations highly compatible with the patient’s mouth. Today, the CEREC Technology is considered to be the most effective method of modern dentistry. When is CEREC Technology Used? How Does the CEREC Technology Work? The dentist first takes the three-dimensional measurements of the teeth with the help of the digital camera. A newly designed tooth is made by taking into account the anatomical structure of the mouth and the patient’s wishes. The designed teeth are inserted in the milling unit and the color determining device. Finally, the teeth go to the polishing unit and the new teeth are created in a practical way. Produced teeth are attached to the patient’s mouth and the implementation is completed in one session. 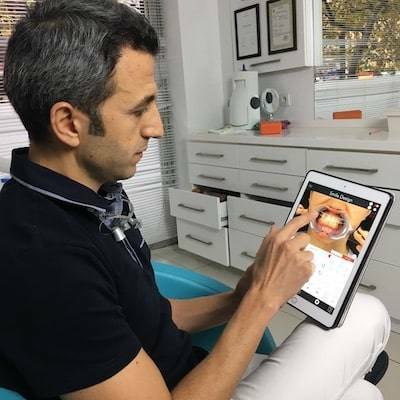 Thanks to this application lasting usually between half an hour and one hour, the treatment is completed in a single session without the hassle of a temporary teeth treatment. BEYOND is the most effective and acceptable teeth whitening (teeth bleaching) technology in the world. When is the Beyond Technology Used? BEYOND technology is used in both modern and office bleaching. With its advanced filtering system, it absorbs ultraviolet rays and works without damaging the composite fillings. 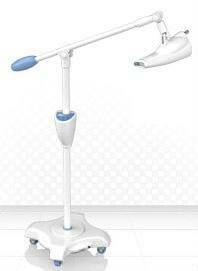 Due to the sensitive and powerful halogen light output, it is considered as the most reliable teeth whitening (teeth bleaching) device. It accomplishes the teeth whitening process in less than an hour. With BEYOND Technology, the whitening of the teeth increase by 5 to 14 in the VITA scale, and this is a 30% increase to other whitening systems. Therefore, darkening or damage do not occur. BEYOND works with a sensitive gel and cold-light technology. 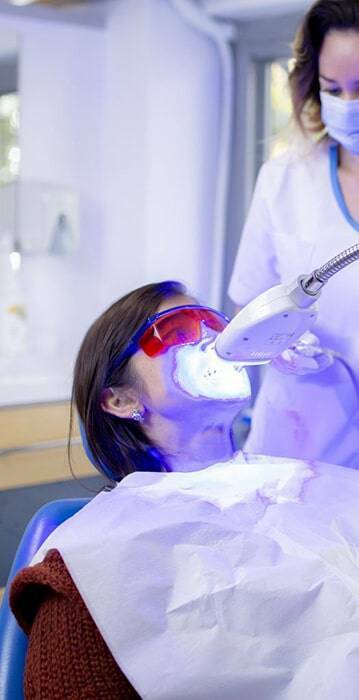 Picasso Technology is the latest and efficient laser technology used in the treatments of gum diseases. PICASSO provides the most effective and painless treatments for gum diseases. 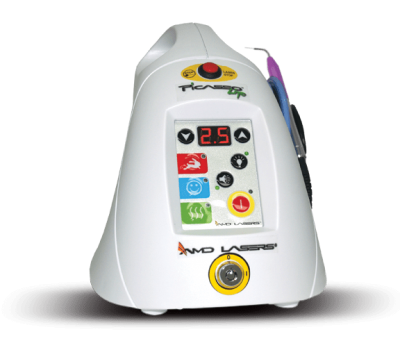 PICASSO Laser is the most effective, fast and secure application device especially among soft tissue dental laser systems. PICASSO can be easily used in clinical practices for the treatment of abscess, drainage, tooth scaling, impacted teeth, all soft tissue removal and many more. Journey to the perfect smile is not a dream anymore. At our clinic, we aim to design the natural and beautiful smile you have ever dreamed of. To accomplish this goal, our doctors and staff will relentlessly work with you to design the right smile that is in harmony with your physical look and most importantly with your personality. Digital Smile Design softwares allow us to customize your smile until we reach the perfection. And small details make a difference.